If there’s one thing more exciting than reading the latest Cara Hunter thriller, it’s being in the latest Cara Hunter thriller. That’s the honour bestowed upon me by my dear friend, the mind-bogglingly talented author of the best-selling Adam Fawley novels. For there, on page 227 of the brand new Penguin paperback, we are introduced to ‘PC Andy Weltch’. It’s a small, but (I like to think) important role; and, I haven’t been as thrilled to see my name in print since my first byline as a young reporter on the Western Times and Gazette back in the days of steam-powered typewriters. 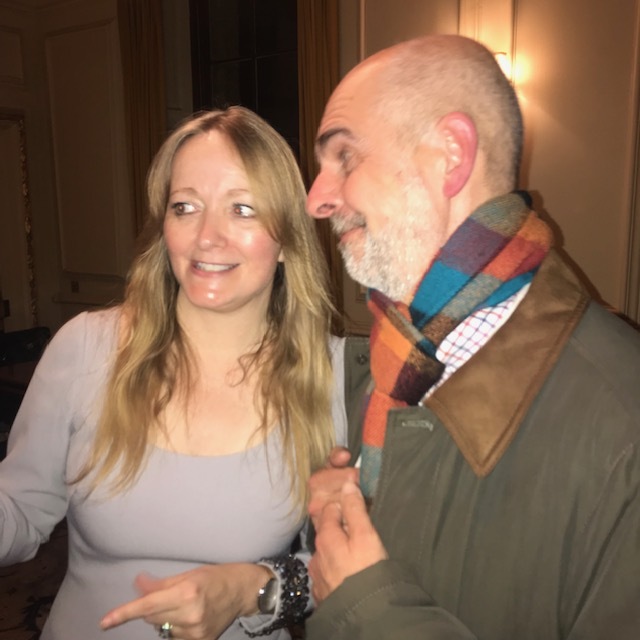 So, for me, the launch of the third Fawley thriller [on April 3rd 2019] was even more special than those for Close to Home and In the Dark. I was also on the early reading panel for this one, so felt some justification for again basking in some of the reflected glory. And what glory there is! 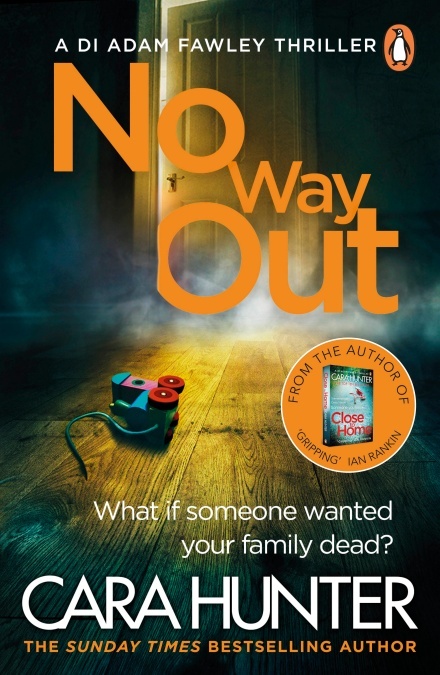 Cara’s books have now sold more than half a million copies worldwide, Close to Home has been shortlisted for the British Book Awards, and publisher Penguin has even launched a Cara Hunter newsletter for her growing army of fans! 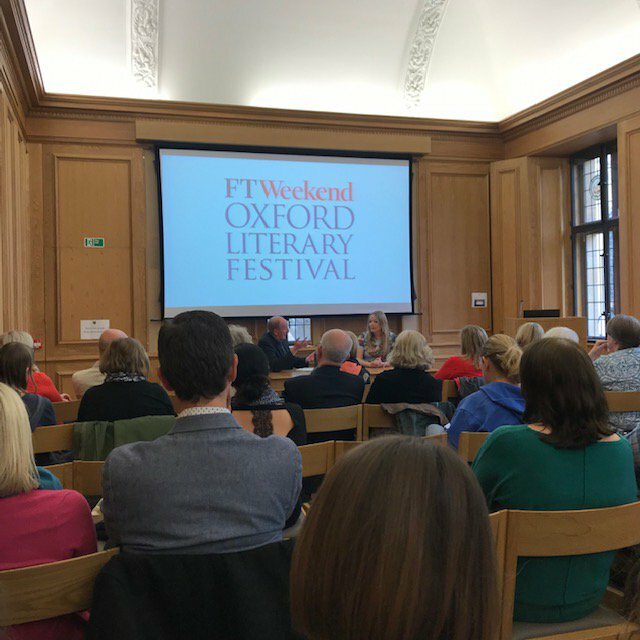 This launch event was in the stunning surrroundings of Lincoln College, Oxford, which earlier in the day hosted an entertaining and informative Q&A session with Cara, hosted by novelist and critic Peter Guttridge. It was another wonderful evening of fizz, food and chat with some of the fascinating people in Cara’s world. They include those who’ve become friends, like No Way Out‘s dedicatee (and the event’s unofficial photographer), Sarah Wall, and new faces, including the latest recruit to her team of expert advisors. Steve Johns of Oxfordshire Fire and Rescue Service is a lovely chap who helped ensure accuracy in Cara’s description of the fire and its investigation. And fire is very important in this story – a large house in an affluent part of Oxford is virtually destroyed in a blaze. Two children are recovered – a toddler who has died, and his older brother who is dangerously injured. The first puzzle for Fawley and his team is ‘where are their parents?’ But then there’s another challenge – the fire wasn’t an accident. Someone wanted this family dead. Once again, the plot twists and turns, and Cara uses clever and varied ways to tell the story: interview transcripts, emails, online news stories, and fire scene plans all help to drive the story forward at a dizzying pace. To be more accurate – and this illustrates just how flipping clever she is – it goes forwards and backwards. Because, while the investigation progresses (yes, forwards), we get insights into the family who own the house, taking us further and further back in time. As an officer of the law in Cara’s fictional world, I strongly advise you to read this. I know I’m biased, but see for yourself.